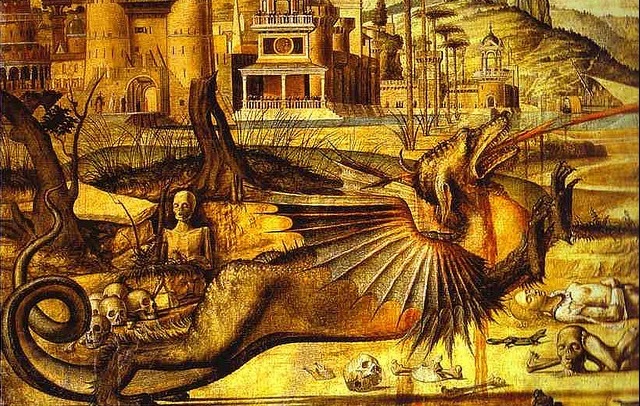 Vittore Carpaccio (c. 1465–1525), perhaps the most charming of Venetian artists, produced Venetian scenes full of color and incident, as well as ostensibly religious paintings with dreamlike images set in fairy-tale landscapes. Carpaccio was a pupil of Lazzaro Bastiani and Giovanni Bellini, and was inspired by Antonello da Messina. Through his lavish use of deep Venetian red, and because an exhibit of his works was on in 1950, just when Harry's Bar invented a new dish of thinly sliced raw beef, he has also lent his name to a classic antipasto, and hence to any meat, fish or produce served raw and thinly sliced. Because most of Carpaccio's works never left Venice, in themselves they are a pretty good reason to visit lagoon land. Little is known of his life: he was the son of Piero Scarpazza, and was born either in Istria or Venice, and changed his name to Carpaccio. 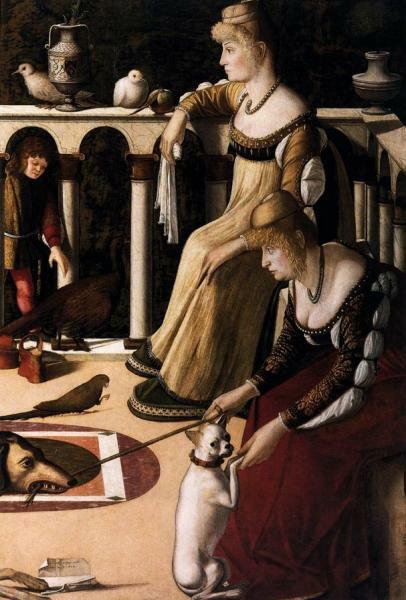 His Two Venetian Ladies in the Museo Correr is considered Venice’s first genre painting; originally it formed half of a painting called Hunting Cormorants in the Lagoon (see Eating and Drinking), now in the John Paul Getty Museum in Los Angeles. There are major cycles at the Scuola di San Giorgio degli Schiavone (The Legend of St George) and at the Accademia (The Legend of St Ursula). Other works are San Vidal, in the Ca' d'Oro, San Domenico in Chioggia and San Giorgio Maggiore.